The 23-year-old victim was attacked between 3.15am and 4.15am on Saturday. Police are appealing for information after a young woman was raped in Aberdeen. 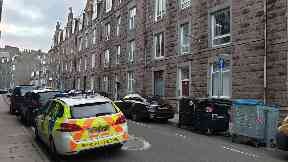 The 23-year-old victim was attacked between 3.15am and 4.15am on Saturday within a property in Raeburn Place. The suspect, who is believed to be aged between 20 and 30, is around 5ft 8in to 6ft in height and was wearing a light blue t-shirt and dark blue jeans. In response to the serious sexual assault, police have increased patrols in the area. 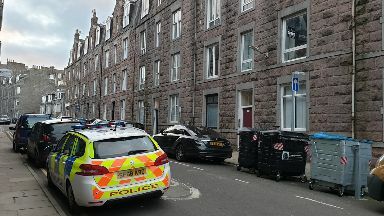 Detective inspector Allen Shaw said: "We have received a report of a serious sexual assault which happened in the early hours of today within a building in the Raeburn Place area of Aberdeen. "Our enquiries are at an early stage but we are appealing to anyone with information or who may have seen the man described to contact us. "The woman has understandably been left extremely upset and specialist officers are supporting her at this time. "Incidents of this nature are rare and there will be an increased police presence in the area while our investigation is carried out. "I would like to thank members of the public and residents in the area for their patience and cooperation while our enquiries continue."